VA is without a doubt the best home financing program for Veterans that have the eligibility. 100% financing, no mortgage insurance, low secure fix rates.. the list of benefits goes on. Whether buying a home or refinancing an existing home you must know the 2019 VA Loan Guidelines that will allow you to make better long-term financial decisions. If you are an applicant that has questions, please call us at Ph: 800-691-8826 or just submit the Info Request form found on this page. There are 3 key elements today to any mortgage approval. Debt to Income (DTI) – This ratio determines how much of a payment you can afford under the lending guidelines. Loan to Value (LTV) – This ratio determines how much you borrow against the value of the property. VA does permit 100 loan-to-value. The most common of VA loans is the VA 30-year fixed program, however, home buyers can also select a 15-year fix term as well as an assortment of adjustable rate (ARM) options. Credit Score – Veterans Affairs (VA) insures VA loans and does not require a minimum FICO score. However, lenders and banks generally have their own in-house requirements that overrule this. Most lenders today require the minimum mid-score to be at 580 or higher. The credit report must clearly support an applicant’s ability to meet all financial obligations in a responsible manner. Some lenders will accept mid-scores a little lower, but you will need to have other strong factors such as a larger down payment (5% -10% down) a good amount of saving reserves in the bank and low debt. All of these are considered strong “compensating factors” and increase the borrower’s chances of being approved with a lower credit score. VA loan requirements do not consider the absence of a credit history as a negative. However, a minimum two-year history of the applicant, including residence, income, assets, and credit must be demonstrated. VA loan requirements do not allow for more than one debt payments being more than 30 days late if the incidents have occurred within the last 12 months. This includes more than one late payment on a single account. In addition, individual lenders may have restrictions on late payments made in the last 12 months. VA loan requirements for a home purchase do not have a minimum down payment. The VA loan is one of the very few loans that can be financed to 100% with $0 down payment. The only option for 100% financing is the USDA Loan. However, USDA loans are limited by eligible locations and household income limits. VA loan requirements allow for LTV & CLTV on purchases and IRRRL’s (Interest Rate Reduction Refinance Loan) to 100%. 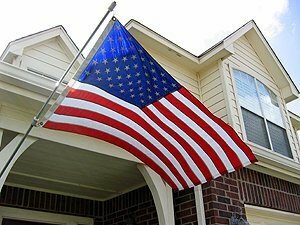 The loan to value on VA cash out refinances are permitted up to 100% of appraised value, except for Texas. VA loan requirements only allow for single-family (SFR), townhouses and VA approved condos. High-cost VA jumbo mortgages are also permitted up to $1.5m loan amounts. However, this program will require a small down payment. Read can read the complete VA Jumbo Loan Guide for more info. VA loan requirements state that it is not necessary for the applicant on the mortgage to have income when the co-applicant/spouse has sufficient income to support all debt obligations. W2 Applicants – VA requires two years of employment with stable income with supporting W2 forms as proof of income. Borrowers are not required to be with the same employer for the two years. However, the same line of work is often preferred. 1099 Self-Employed Applicants – VA requires last two years of complete tax returns as proof of stable income. Any borrower that transitioned from a W2 employee to self-employed in the last two years is not eligible. Part-Time – VA loan requirements allow for part-time job income as long as it has been for no less than two years. Other Income – VA allows for other types of income types as long as they are property documents and show continuance. For purposes of qualifying an applicant for a mortgage, ratios are calculated to determine what percentage of the applicant’s income will be spent on the proposed monthly housing expense and total of all obligations. VA loan requirements allow for DTI ratios of 29% / 41%. These ratios may be slightly exceeded with acceptable Automatic Underwriting System (AUS) and underwriter’s approval. Strong compensating factors (as mentioned above) will also permit the applicants to often exceed ratios. Additional debt ratio flexibility is often provided for VA streamline refinance programs. VA loans do not require any monthly Mortgage Insurance (PMI) payment. Rental History – A home buyers must demonstrate their ability to successfully pay their monthly housing expense. A lender will require a Verification of Rent (VOR) from a Rental Management Company. Some lenders will accept 12 months of canceled checks showing rental history if the landlord is a private owner. VA mortgage guidelines will allow for one 30 day rental late payment in the past 24 months given that the applicant had a credit mid-score higher than 720. Living with Family – VA loan requirements allow for rental history if the applicant is living with family and paying rent. However, if the applicant is not paying rent, then he/she is not eligible for a VA loan. VA loan requirements state that the property occupancy must be an owner-occupied primary residence. VA does not permit investment property or vacation/second homes. VA will also not permit any non-occupant co-borrowers. Each county and state have specific loan limits. VA loan requirements follow the same Conventional loan limit of $484,350 in most locations across the U.S. There are certain locations deemed higher costs (California, South Florida, Virginia, North East, etc) that permit higher loan amounts. Home buyers in higher costs locations like Miami Dade, San Diego, DC, Chicago, San Francisco and Boston can read about the VA Jumbo Loan here. All the loan current VA Loan Limits will likely remain the same through 2018. Contact us today to discuss your county/state loan amount limits. VA loan applicants will want to have a copy of their COE or Certificate of Eligibility. If you do not have, or need assistance obtaining your COE, please contact us at Ph: 800-691-8826. The VA Certificate of Eligibility is required for a VA loan.Home buyers that have questions about the VA Purchase, VA Jumbo Mortgage, or Refinance programs can learn more by submitting the short Info Request Form today. Can the VA funding fee be added into my loan?